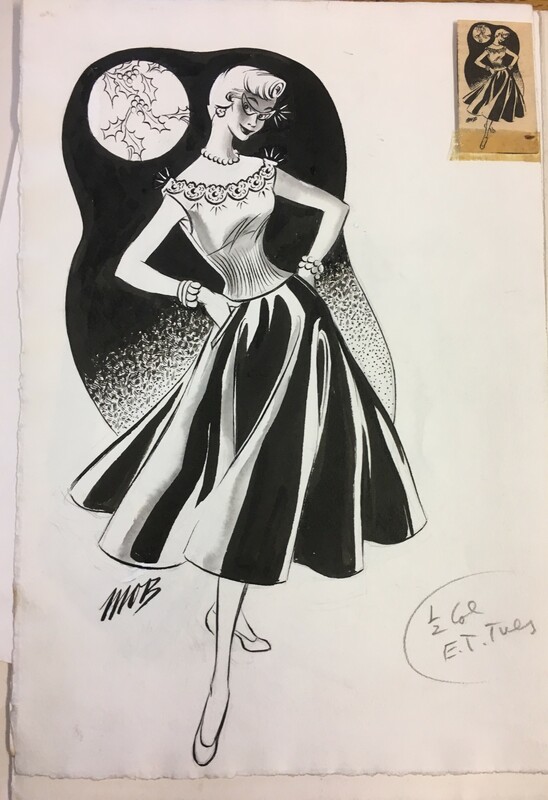 Welcome to the first instalment of Archive Anecdotes, a new blog series which explores how our regular researchers are using the collections! Interviewed here is PhD student Karen Mailley-Watt, one half of the brilliant History Girls Frae Scotland! To find out more and keep up with The History Girls, check out their blog here. Can you talk a little bit about your background and how your choice of PHD study came about? I have an undergraduate in History and English Literature and then I went on to study Decorative Arts and Design History at the University of Glasgow so I have an MLitt in that. I then went into the museum sector so I’ve been working in the heritage sector for over ten years and then I started working for Glasgow City Heritage Trust. Through the events that we were putting on for Glasgow’s Gilded Age, I realised that there weren’t many female voices coming out, in fact there was very little focus on women at all, so that’s how my PhD came about. My PhD is called “Revisiting The Glasgow Girls” and it’s looking at the industrial and commercial side instead of the embroidery and fine art side of things, so it’s filling an academic gap there. It’s also trying to bring out stories that aren’t upper and middle class, it’s more working class stories or people who have been overlooked because maybe they designed for places like department stores or did marketing and PR related work. So yeah, that’s it in a nutshell. What brought you to the Archives and Collections? My PhD is over two academic institutions – The University of Glasgow and The Glasgow School of Art. The first women that I’d been looking at to put a base down for my PhD all went to GSA. I then started looking into The Glasgow Society of Lady Artists and then realised the term “Glasgow Girls” was associated with The Glasgow Society of Lady Artists. Many female GSA students were also members of the society so, it just made sense to utilise GSA Archives. What kinds of sources have you been using in the Archives and Collections? 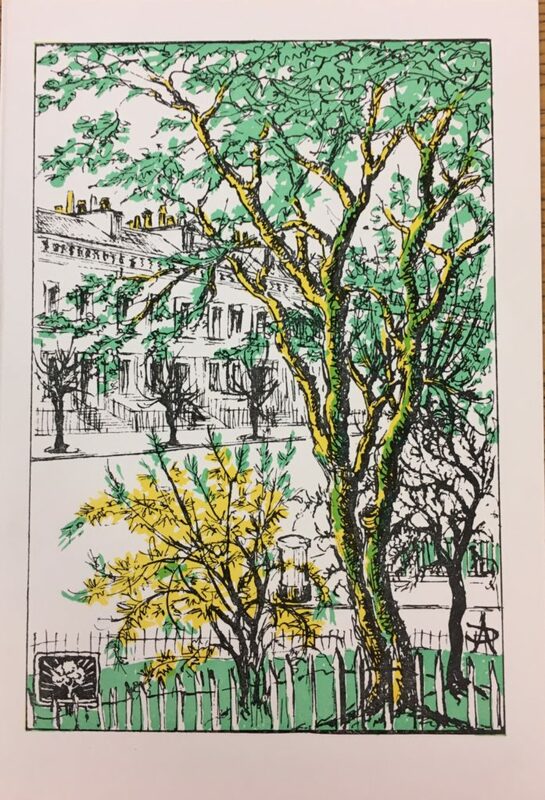 Currently I’m looking at The Papers of the Anderson Family (DC 022) to try and figure out what was being taught commercial art-wise at that time, so here I’ve got a couple of book plates and some sketchbooks. I’ve also been looking at the student registers to try and find out the names and the dates of these women who attended GSA and what classes they were going to. I’ve looked at the Prospectuses to figure out who was teaching at the time, Director’s Papers to figure out the networks of communication within the School. Societies and networks is something that I’ve been really interested in, societies that were set up at GSA or by people from GSA and how these supported female artists and designers. Scottish Society of Art workers was one that I was researching from a couple of weeks ago that’s actually been very helpful. What interests you so much about the networks side of things? I like to see who was socialising with who! I personally believe that who you are talking, working or socialising with influences the individual, and the associated work in some way. If you look at what was being produced during this period, and the networks and relationships there’s definitely something special about GSA as a creative hub. There’s a lot of undiscovered networks, Jessie M King is everywhere, she was even in Dundee writing newspapers under a different name. I think she was even one of the first female journalists in Scotland. She was also at GSA, in the society of Lady Artists, in France for a period so this highlights an example of how these women were creating and connecting networks. Why do you feel it’s important to highlight commercial artists? I think it’s highly undervalued compared to other disciplines. They were receiving the same basic training and some of the pieces that were designed, for example the Garcia Hunter designs, are absolutely incredible. I think designs like these are over looked because they’re often mass produced in newspapers or catalogues and people tend to throw them away. So I think there’s potentially a whole new level of interest with designers like these and also the stories that go with them. Good stuff! Lastly, what do you want your PHD to achieve? Do you hope it will open up new attitudes? There seems to be a real wave of appreciation for female artists at the moment alongside another wave of feminism. I feel like this is a good environment for getting the names of these women out there. Ultimately, I want them to get the same recognition that the men get because they were part of all the same networks of the time. 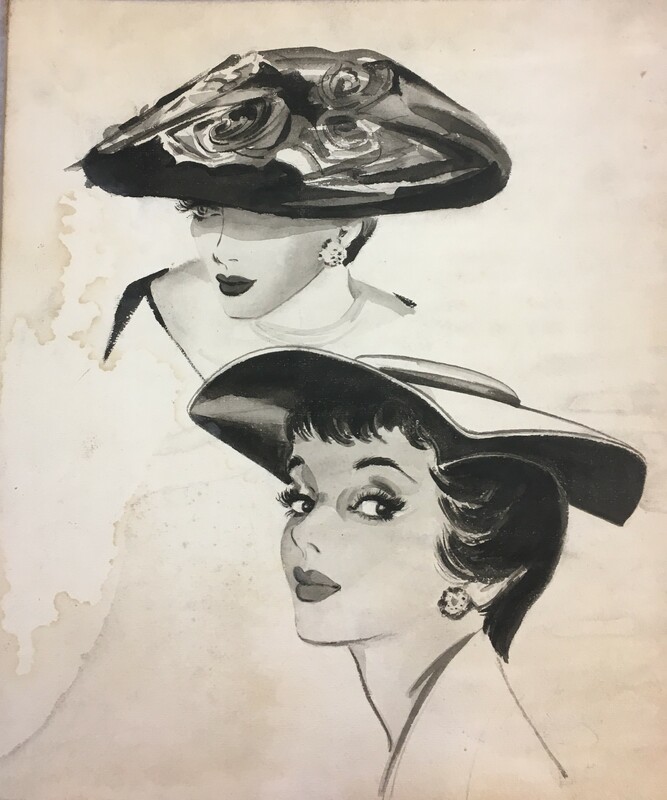 GSA Archives and Collections will be part of Karen’s Women, War and Glasgow’s West End project in September so keep an eye on our social media channels to find out more!